A Rock and Roll Hall of Fame honouree, Mayfield’s early solo career includes a collection of newly remastered versions of his first four studio albums: Curtis (1970), Roots (1971), Back to the World (1973) and Sweet Exorcist (1974). 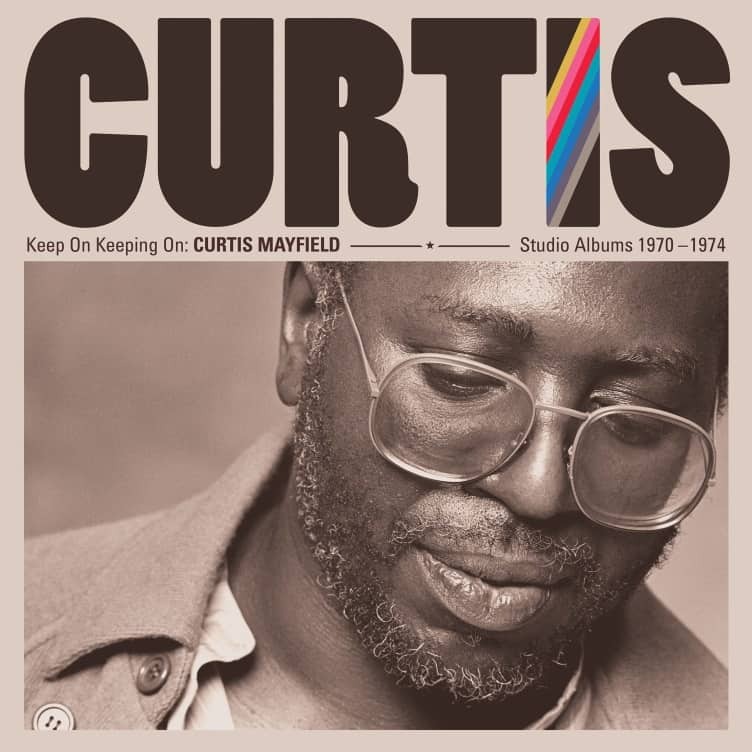 KEEP ON KEEPING ON: CURTIS MAYFIELD STUDIO ALBUMS 1970-1974 will be available on February 22. Mayfield left the Impressions in 1970 and launched his solo career with his debut album, Curtis. The album reached the Billboard Pop Albums Chart Top 20 and was certified gold. It features “(Don’t Worry) If There’s A Hell Below, We’re All Going To Go,” a hit in the U.S., and “Move On Up,” which charted in the U.K. In terms of cultural significance, the album’s potent combination of socially conscious lyrics and soul/funk music helped blaze a trail for later albums like Marvin Gaye’s What’s Going On and Stevie Wonder’s Innervisions.